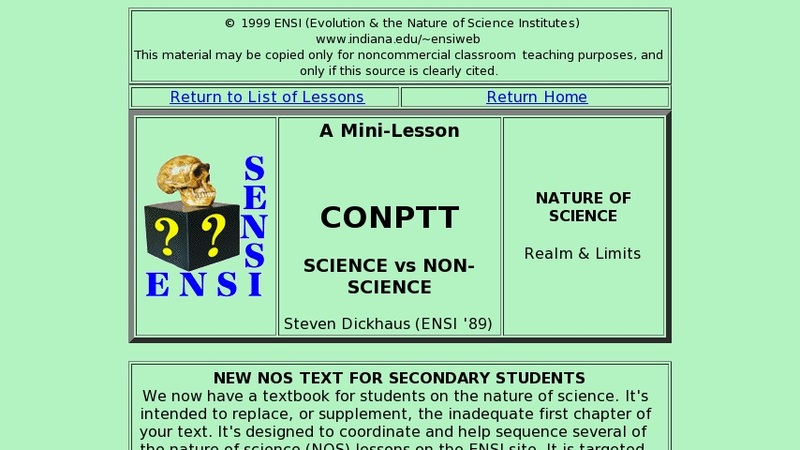 This lesson explores six criteria of science (Consistent, Observable, Natural, Predictable, Testable, and Tentative (CONPTT)), with definitions and self-check questions. It compares emerging science, non-science, and pseudoscience, with definitions and examples. The activity engages students in analyzing a collection of paragraphs to decide which category each fits into.